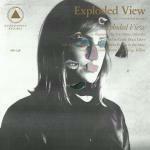 Exploded View was born from pure happenstance. It also began in Mexico City, when singer-songwriter Anika Henderson met a trio of musicians - Martin Thulin, Hugo Quezada, and Amon Melgarejo - who shared a similar musical aesthetic. There’s something of a nomadic streak within Anika, an artist who’s been able to easily incorporate her own ideas alongside projects that attempt to carve her own niche. Exploded View suits her well; the collective’s like-minded affinity for acerbic noise and echoing dissonance is the first time we hear Anika fully embracing a technique she’s been perfecting with each subsequent project. Anika, alongside other contemporary peers like Cate Le Bon and Jane Weaver, emphasizes a low vocal range with creeping effect. It’s a fragile croon that both soothes and unnerves, an icy splinter that impales the senses with tenebrous composure. She never intends to flatter with her anomalous disguise - in One Too Many, a sustained bass note trembles over a weaving synth line as she recounts a nightmarish tale with the charm of a dark enchantress. Other times, like in Disco Glove, she submits to a presumptuous sing-speak narrative style that apes the Velvet Underground’s knack for extended drones. In spite of this, the band chooses to play their instruments with a repeated hypnotic insistence that causes heaps of tension. Exploded View don't shy away from experimenting with all sorts of sonic knick knacks that are openly informed by different variations of seventies art rock. The bands loosely incorporates some krautrock rhythms into Stand Your Ground, an airy number that gently floats on by with a background of primitive drum fills as an infrequent array of penetrating chords accentuate Anika’s free-flowing delivery. Meanwhile, the muted, acidic groove of No More Parties in the Attic has an alluring defiance that resembles Suicide’s electronic nihilism. The fact that Exploded View was recorded in single takes, and performed with such impressive skill, demonstrates a congruous relationship between four musicians who assuredly savor in their unearthly energy. Whether it’s a one-off project or a fleeting affair for all parties involved remains to be seen, though for the time being, the band’s gift for impromptu creativity has served them well.